Towards the beginning of the Republican era in a remote and backward village where women and men are not viewed as equals, a group of women band together to fight the injustice that has been ruling their lives. A married couple with Western ideals move back to The Forgotten Village attempting to evoke change, but they face difficulty at every turn. They also get pulled into murder and kidnapping cases and a mystery surrounding a ghost bride. As the story progresses, it is revealed that the chauvinism is not just skin deep as women have had to endure a lifetime of oppression. It premiered to high ratings, gaining enough audience to rival that of My Ages Apart and Heart of Greed. Despite airing in January, it was one of the two highest-rated dramas in 2018, along with Apple-colada. 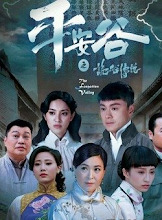 It ranked eighth in the top 10 highest rated TVB dramas in 2018 with an average of 26.5. It reached the highest total audience of 30.4. Let us know why you like The Forgotten Valley in the comments section. Please also share these fun facts using the social media buttons below.